I am so pleased to finally talk about my favourites because I have missed out on two whole months...:-)..I know, I know, very bad blogger. 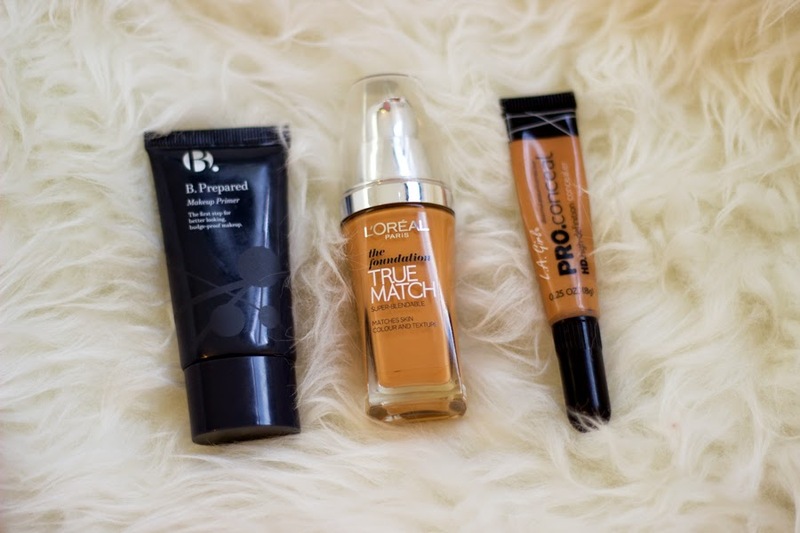 To be honest, I have been loving quite a few products these past few months but I am just keeping this list very minimal so I don't end up boring your pants off. I decided to just focus on makeup this time around and I will share skincare favourites sometime this month hopefully. Yes, I know I am crazy spending almost £20 on a makeup bag but I have always wanted something from Lulu Guinness and I worked really hard last month so this was a well deserved treat. It was reduced from £35 to £19.50 which was great and I snapped it up. It's very good quality as expected from Lulu (I like how casually I am saying Lulu like we are buddies..lol) and I really like it because it is very roomy but not bulky even when it is stuffed. I love everything about it and I am pleased with it plus the "lips" zipper is very cute!! I think I already talked briefly about this lipstick over here on my MAC Haul. It's a nice medium natural pink shade that I can see flattering any skin tone because it is sheer and subtle. It has a lustre finish which makes it look even more appealing. Let me just say this was (and still is) my go-to lipstick. I wear it to work, church, outings, everywhere...it's ridiculous but I love it! This has served me really well as I bought it earlier this year in January as my birthday treat and my love for it is going on strong. Just look at that packaging; it's lush! 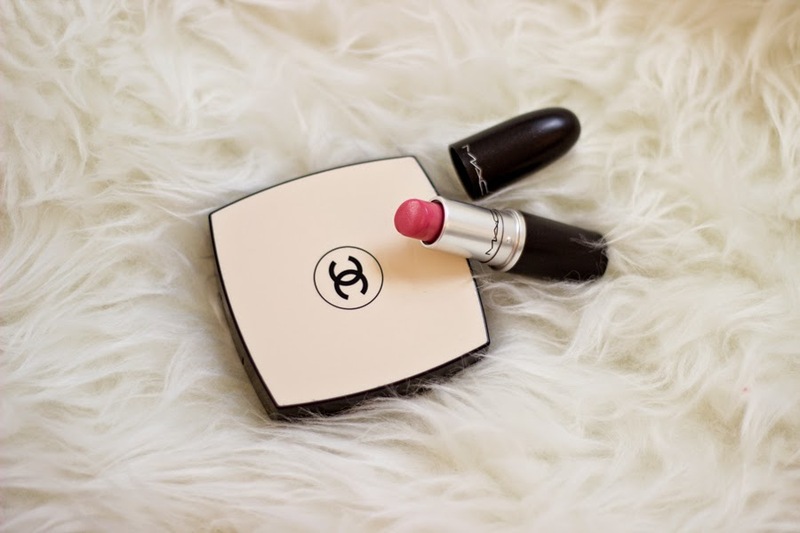 Lovely packaging aside, it's great quality as expected from Chanel and it's pricey as well. It's a very sheer and finely milled powder but it surprisingly mattifies my face really well and I don't need to touch up for the good part of the day. It's not going to give very good coverage as it is not fashioned that way but it gives a really healthy glow to the face as the name implies. This is the best drug store foundation hands down for me because it offers good coverage, sets matte and it's very easy to apply and blends really well. I definitely need to write up a review for it because I have been using it everyday. It's amazing and I have no idea why it took me so long to try it; I guess getting my correct shade was part of the reason. I had to buy three bottles (at different times of different shades) before I finally settled for this but it's well worth the hassle. Watch out for a review up soon! I can't remember what blogger or YouTuber mentioned this in passing; I think it may be Patricia Bright. She had only good things to say about this and I thought Hmmm! I better try it because I have been on the hunt for an inexpensive primer although I have a few I like but they are not all readily available. Long story cut short, I really like this primer; it mattifies and helps control shine on my face. 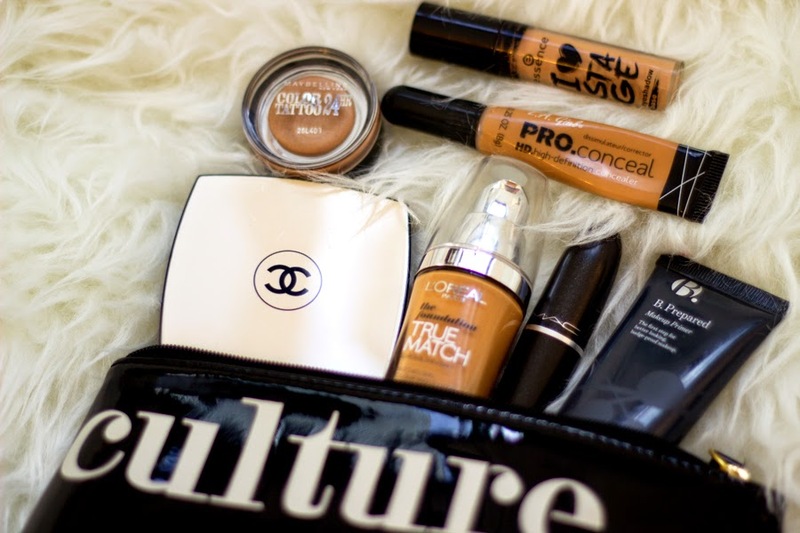 Mostly, it helps my foundation glide on really smoothly. It was on offer for £5 when I purchased it but it's back to full price £9.99 which is so sad as I should have bought two tubes when I had a chance..Oh well!! I finally got to try this primer after lusting after it for a few years now because every YouTuber especially the ones in America were talking about this. I was just lazy to order this across the pond but I was in need of a good concealer and my MAC Studio Finish Concealer was no longer cutting it for me (*shock horror*). 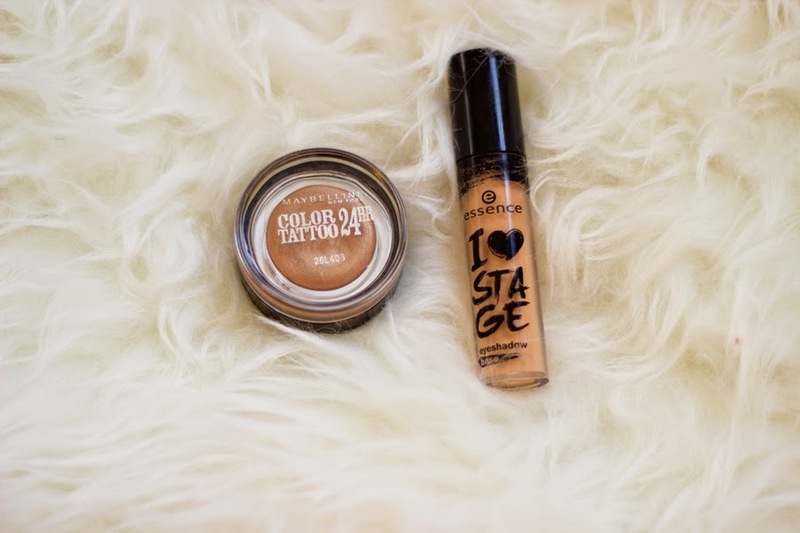 I really like the formula and the shade Fawn is a perfect match to my skin although I find the packaging a little tedious and annoying but it does the job well so I have learnt to deal with it. I bought this in my new fav store "Wilko" as they now stock Essence products. I can't recall trying any Essence products but this primer is the business. You only need a little as that goes a long way. It helps my eyeshadows sit well on lids, increases their vibrance and longevity. If you have oily eyelids, look this way as this keeps it at bay. It's only £2.50 and you get a decent amount of product. I love this and it would definitely be a staple in my stash. Can you believe how late I am to the whole color tattoo eyeshadow games? I know but I was never really big on eyeshadows in general but now I am absolutely loving them and I have tried the Maybelline and L'Oreal versions of these colour tattoos. On and On Bronze is a light bronzy shade with a slight metallic finish. This is very flattering for many skin tones and I have worn this alone and as a base for other eyeshadows; they do not budge AT ALL. It's really amazing and I have two other shades which I would be reviewing soon. True Match, you shall finally be mine soon! :)) Great post Liv(once again hihi)!